​​Your Wildlife Professionals, Inc. provides bird netting and bird removal services in Virginia. If you need bird removal or need to get rid of birds in Alexandria, Arlington, Bedford, Blacksburg, Bristol, Charlottesville, Covington, Chesapeake, Danville, Fairfax, Fredericksburg, Hampton, Harrisonburg, Lexington, Lynchburg, Loudon, Manassas, Martinsville, Newport News, Norfolk, Richmond, Roanoke, Smith Mountain Lake, Staunton, Virginia Beach, Waynesboro, Williamsburg, Winchester, Wytheville, and Yorktown Virginia, Your Wildlife Professionals, Inc. is available to solve your bird problem. No job is too small or too big, residential, commercial, or municipal. Our custom bird netting systems will prevent birds, such as pigeons, starlings, and house sparrows, from entering or roosting in your structure. We install a full line of bird control products, such as bird spikes, netting, electric shock track systems, and daddi long-legs. The nets and electric shock tracks come in colors that will blend with their surroundings. 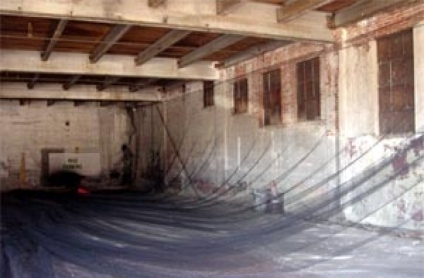 Netting in Translucent, Black, and Beige. Trapping services are also available to reduce or eliminate the bird population. Bird dropping Biohazard Clean-Out and power washing are additional services available. CLICK HERE for more information on Virginia Bird Control Services and Products.